I recently picked up a new-to-me cross bike off of craigslist. Uhh…can somebody say bicycle problem? 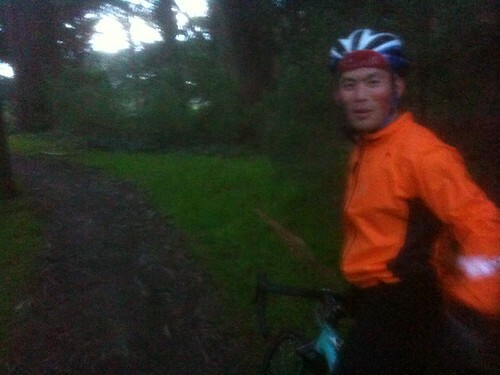 And my neighbor has been introducing me to the trails in Golden Gate Park, which is essentially my urban backyard ride. 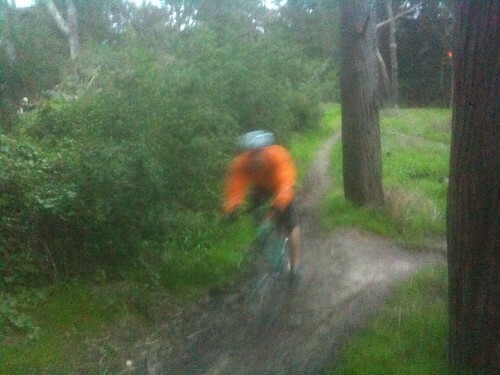 I am totally stoked on this new discovery: both the style of riding and the laps that are so close to where I live. In terms of mileage, I’m quickly fading from the target. Especially since Christmas will be spent with family and I am working next week. I did take Monday off because it looks like there will be a break in the weather. The ride through the park probably totaled about 20 kilometers (I actually didn’t get around to opening the Garmin yet), but navigating around roots, absorbing the shock, all the sudden braking, and the quick accelerations up dirt slopes made it feel like a much more intense 20 kilometers.